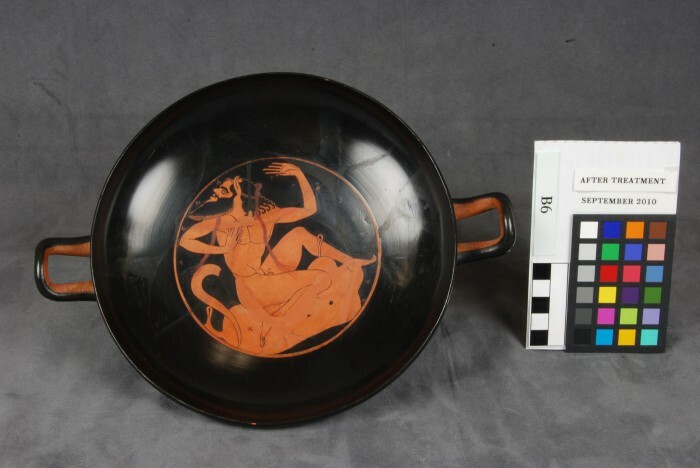 On the tondo of this red-figure cup, a satyr decorated with a garland rides a wineskin. He appears surprised and losing his balance. 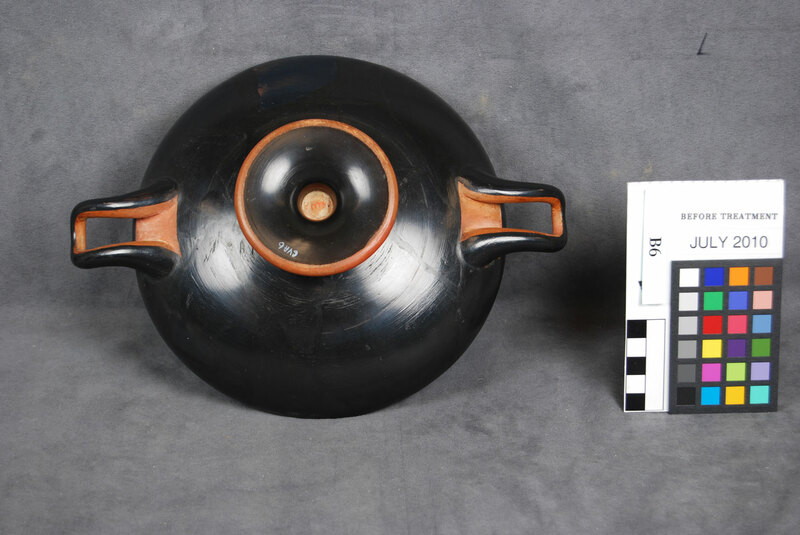 Around the edge of the tondo, an inscription praises the beauty of Panaitios (ΠΑΝΑΙΤΙΟΣ ΚΑΛΟΣ, “Panaitios is beautiful”), from whom the Proto-Panaitian Group of vases (closely related to the earlier work of the painter Onesimos) takes its name. Another inscription on the wineskin praises the wine itself as beautiful (kalos). The cup’s imagery makes reference to the drinking and revelry of the Greek symposium, for which it was made. 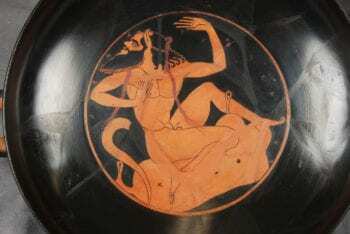 “Wineskin” (askos in Greek) was a slang term for someone who ate or drank to excess, so the image represents a visual pun, with a satyr, the proverbial askos, astride a literal askos. As the symposiast drained his cup of wine, he would be confronted with this playful image, reminding him that he himself was becoming the askos.